That is one handsome trio. Kia is going all out for SEMA. Just a few weeks back the company previewed a wide-body Stinger built by West Coast Customs, but today we know exactly what the Korean marque has planned for Vegas. Alongside the wider Stinger, another Stinger GT, and a highly modified Cadenza will be on display. First up is the wide-body Stinger, pictured above. 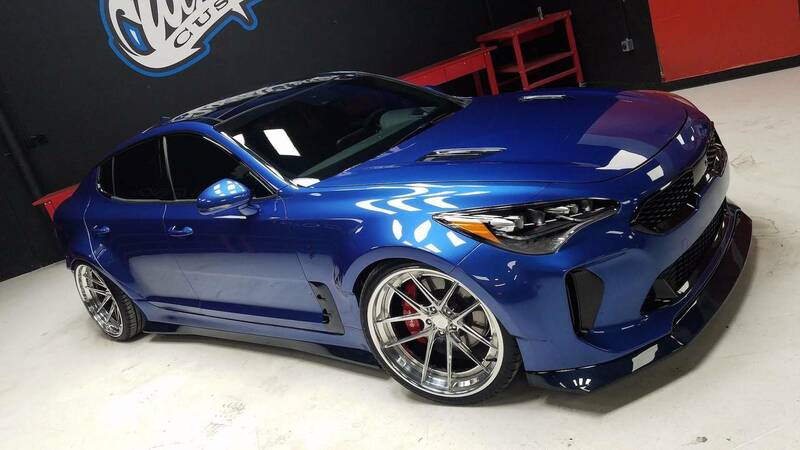 Hand crafted by the experts at West Coast Customs, the custom Stinger was inspired by GT cars of the 1970s, and blends its new wide-body treatment with Kia's already aggressive design language. Bathed in layers of pearl blue metallic paint, the Stinger rides on a suspension that’s been lowered by 1.4 inches up front, and 1.2-inches in the rear. A set of 21-inch Keen forged wheels come wrapped in high-performance tires, and a lightweight carbon fiber aero kit and rear diffuser help keep the sedan planted at speed. Quad-port exhaust tips, and a driver-centric cockpit with custom blue leather piping and distinct hand-stitched grey leather seats can be found. Not to be outdone, the Stinger GT Federation stands out with a bright orange paint job and a few subtle upgrades. Exterior accents by Air Design USA, including a rear spoiler, rear diffuser, and redesigned hood vents, have been added, and come paired to 20-inch TSW wheels wrapped in Falken tires. Under the hood is the same 3.3-liter engine you get from the factory, but in this application it has been tuned to pump out 380 horsepower (283 kilowatts), a healthy increase from the 365 hp (272 kW) found in the standard version. That added power is courtesy of a K&N cold-air intake and a low-restriction quad-tipped Borla exhaust. 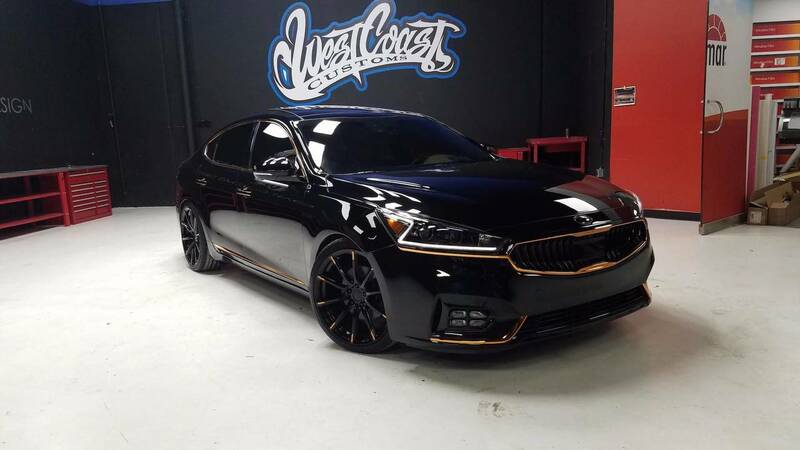 Last but certainly not least, the Kia Cadenza Obsidian comes finished in a jet black and gold exterior, riding on a lowered suspension with stiffened sport springs, and a set of 20-inch gloss-black Keen wheels. In the cabin, a hand-stitched suede dashboard top panel has been added, as has brown leather on the seats, and suede inserts in the door panels. No upgrades have been made to the engine unfortunately. 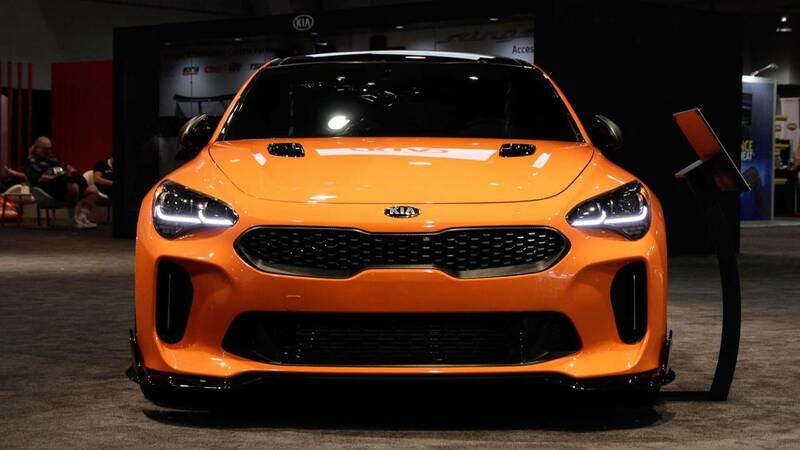 "This year’s SEMA show demonstrates that Kia’s standout combination of performance and style is more than just a dream," said Saad Chehab, vice president of marketing communications at Kia Motors America. 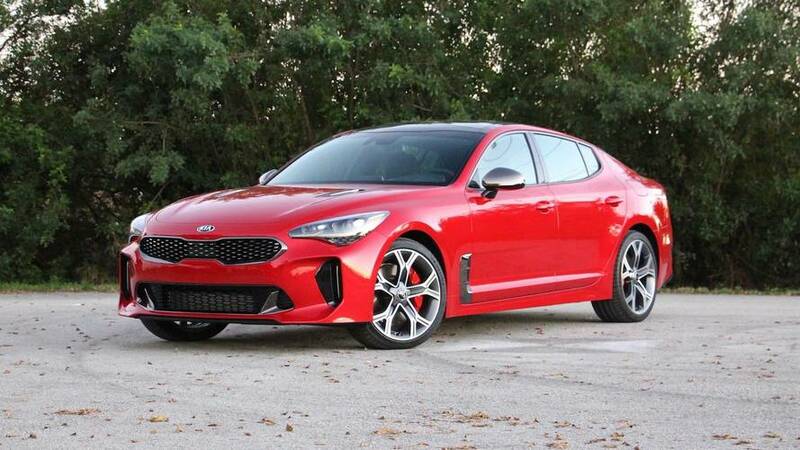 "Kia’s specially modified and aftermarket-accessorized Stinger GT and seat time in our all-new high-performance sports fastback make Kia’s 2017 SEMA experience the top auto enthusiast’s playground." The trio of sedans will debut alongside a Stinger GT drifting and high-performance experience, which will see professional drift drivers take a few unsuspecting show goers for a ride in the surrounding parking lot. Attendees will also be able to get behind the wheel of the Stinger GT and take on a complex autocross course. 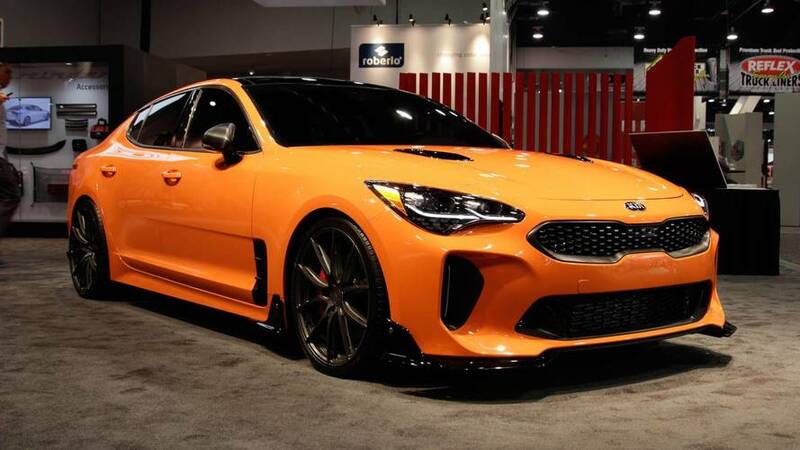 Kia Motors America (KMA) transforms dreams into reality at the 2017 Specialty Equipment Market Association (SEMA) Show with custom vehicle builds and opportunities to experience the all-new Stinger GT. Attendees will have the opportunity to ride alongside professional Formula Drift drivers who will provide thrilling drifting demonstrations as well as experience the vehicle’s athletic performance first hand from behind the wheel on a challenging autocross course2. 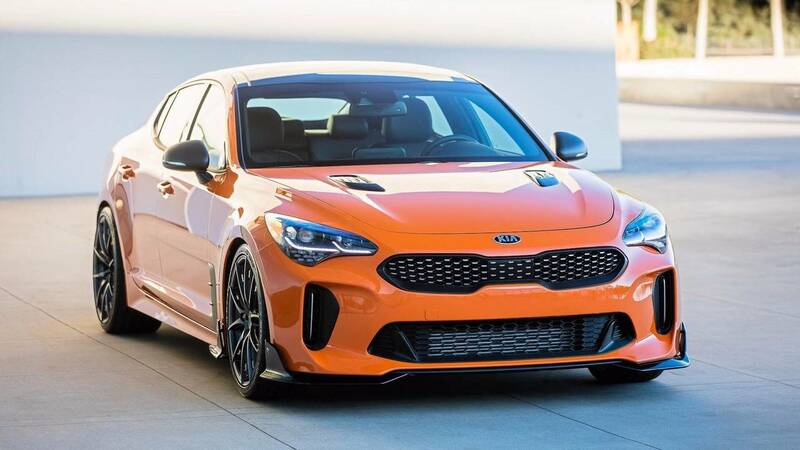 In advance of the Stinger going on sale this December,3 KMA invited West Coast Customs to modify and feature two highly customized works of art, one based on the Stinger GT and the other on the current Cadenza premium sedan. KMA also revealed a uniquely modified Stinger equipped with a host of parts and accessories from leading aftermarket suppliers.